Want to hear what others think about us? Check out some of the great feedback and kind words we've received for our products here at Console Vault. "They destroyed my truck, but not my Console Vault." My truck was recently broken into in a fairly upscale neighborhood. The thieves removed the entire nav-sound system, broke open the glove box, and even removed the steering wheel's airbag. Luckily, I purchased a Console Vault, which contained my Glock 19 and one extra magazine. The thieves certainly attempted to get into my Console Vault and had professional equipment to help them in their efforts, but to no avail. When we called the local police to file a report, the officer was amazed at the damage done to my interior and the outstanding security my Console Vault provided. He explained that given the damage, the thieves were "professionals" and could now unlock and disarm alarms electronically in most vehicles in seconds. Needless to say, he was impressed with the ruggedness and strength afforded by my Console Vault. They destroyed my truck, but not my Console Vault. Later that evening I was thinking about the possible repercussions of the event. 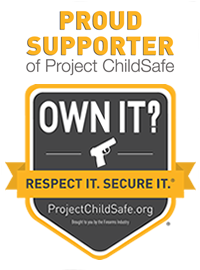 If I had not purchased my Console Vault, my firearm would have been stolen and fallen into the wrong hands. The firearm could be used in a crime, one that could have even take a life or lives. In addition, I could even be prosecuted for the crime. In short, the Console Vault not only protected by personal belongings, but it also could have saved a life by preventing a life-threatening crime. I thank you for your outstanding product. I am incredibly grateful I purchased the Console Vault for my pickup and that took the extra step to keep my firearms secured at all times. You've provided me peace of mind, and for that I thank you. "...Recommend that everyone should have a Console Vault installed in their car or truck." As a Registered Professional Engineer, PE, I appreciate your quality workmanship. Little did I realize I would get to personally experience how really strong your Console Vault is. This morning I found my Hummer H2 broken into and the center console padded cover raised open and a broken screwdriver jammed into the side of the Console Vault, with the other half of the screwdriver's broken handle in the middle of the driver's seat. Behind the driver's seat, there was another screwdriver also broken into two pieces. The thief certainly tried hard to break into the Console Vault to no avail. He also pounded the screwdriver into the lock and again could not get in. He must have been pretty frustrated after breaking two tools and probably hurting his hand from the sharp edges of the broken plastic handle. This is the second time this happened to me, even though I live in an upscale gated community with 24 hour guard gate service, and parked my Hummer H2 by the side of my home in a well-lit driveway. The thief did not get my gun or anything else in my Console Vault, after trying really hard. I greatly appreciate your immediate response in helping get my Console Vault replaced. I am most happy to have such a great Console Vault in my Hummer H2, and positively recommend that everyone should have a Console Vault installed in their car or truck. "As an engineer, I know what quality manufacturing looks like." As an engineer, I know what quality manufacturing looks like. When I received my Console Vault, the quality and design were obvious, security and ease of installation are well thought through, and the products being made in America is the final touch. "They might have stolen my stereo, but I had the upper hand having my Console Vault." I purchased my Console Vault in July of 2012 for my '08 F-150. I have raved to my friends about it and how secure it is. Well, just yesterday it was put to the test. My vehicle was burglarized and my stereo was stolen right in front of the police academy that I am currently attending. After looking at the rest of my vehicle, I realized that they attempted to pry open my Console Vault to gain entry. They were obviously unsuccessful. They might have stolen my stereo but I had the upper hand having my Console Vault. Thank you very much for making an amazing product. "I can't even imagine my truck without my Console Vault." I discovered your product from some guys at the local gun range. You had some serious people vouching for your products, but for some reason, I held off on making my own purchase. Low and behold, someone at the range's truck is broken into and no matter the thief's efforts, they couldn't break into their Console Vault. I went online and bought my own immediately after then and now I can't even imagine my truck without my Console Vault. In short, kudos to you and your team for making such an outstanding and innovative product. You've now got me vouching for your products. "Console Vault has set the standard in security and no one can beat your innovation." The family owns two Dodge Rams and we've got a Console Vault in each one. (I also own the Gun Transporter and will soon be buying a wall safe, too.) I've got to hand it to you all for creating some truly awesome products. Every product I've seen from Console Vault has set the standard in security and no one can beat your innovation. "Thank you for the peace of mind!" I'm on my third Console Vault and it's the first thing we buy whenever we upgrade one of our trucks. I leave my truck and valuables inside and don't have to worry about theft of any sort. Thank you for the peace of mind! "I recently retired after 31 years with the Texas Highway Patrol...I fully support Console Vault and see the need to get this out to more and more people." I recently purchased a Console Vault for my new Chevrolet Tahoe. The ease and proper fit were fantastic. I recently retired after 31 years with the Texas Highway Patrol at the rank of Major. I have personally experienced my vehicle as well as the unmarked state police car getting broken into and my GPS and other items stolen. I fully support Console Vault and see the need to get this out to more and more people. "Thank you for working, Console Vault." They break the window, rip up my interior, but they don't get my safe or anything in it. Thank you for working, Console Vault. "Would HIGHLY recommend this safe." I decided to buy this safe because it appeared to be [a] little more sturdy. When it arrived, what a pleasant surprise it was when I opened the box and saw how HEAVY duty and easy to install. However, I did mess up when changing the combination and called their toll-free number. Expecting to get a recording, I spoke to a real person who transferred me immediately to the right individual who helped me solve my problem. So polite and helpful - couldn't have expected more! Would HIGHLY recommend this safe. "We recommend it without any reservation whatsoever." This is a one-of-a-kind concealed safe. How to get in it is a secret, and quite unique. Installation is easy with the instructions. One does have to cut a hole in the sheetrock, but that's the major issue. We found it to be easy and the unit fits snug and bolts to the studs internally for security. The unit is made of rolled steel, not the cheap tin or inferior steel. It is SOLID. We recommend it without any reservation whatsoever. Place it near your electric panels or behind a door and it fits in nicely. The item arrived after only a few days and shipping was included. "This is definitely one of the best buys I've made in years." This is definitely one of the best buys I've made in years. The design is brilliantly clever, it's made right here in the United States, the wall safe enables you to keep your valuables hidden in plain sight and with awesome security, etc. I know I shouldn't, but I love to show this safe off to all of my friends when they visit. They're always completely confused when I first show them the panel, and nearly everyone doesn't want to touch the fuses for fear of being shocked. They're always amazed when they find out it's an actual safe and the guys all want one for their homes and offices (two good friends have already purchased one for themselves).